People are usually diligent about making a substantial purchase. Why should investing be different? When it comes to making significant commitments — buying a home or vehicle, going on a big vacation, joining a club are examples—people are pretty good at doing their homework. Through our long experience, we have come to understand that people are not so good at choosing how they invest. A buyer has command of all the relevant information when it comes to his or her newly purchased home—configuration, style, size, age, condition, taxes, utilities, conveniences, amenities and, perhaps above all, why they bought where they bought. Ask the same sophisticated, intelligent buyer what’s in his or her long-term investment portfolio and the answers are a lot less certain…despite the fact that the portfolio is likely to be worth more than the home and is also the dominant factor determining how well he or she will live in retirement. That’s because people are sold pre-packaged investment portfolios. People buy a home because they know what they want. With investments, they know where they want to go, but not how to get there and wind up being sold a portfolio that is complex, opaque, expensive and potentially more risky than realized. Much of this can be traced to the buyer/seller relationship. People tend to place a lot of confidence in firms that are big “brand name” financial supermarkets. There is a perception of security and greater wisdom that people attach to these firms, meaning that they are likely to go along with their “wealth manager’s” recommendations even when they don’t fully understand them. Substantive changes in the investment industry over the years have led to this situation. There was a time when firms made personalized recommendations based on research and knowledge of their client’s situation and objectives. That model is long gone. Today, there are a great many more investment options and most of them are very complex, which often works against the investor. Many investments are also illiquid, meaning that they cannot be sold unless one will accept a panic sale price (not to mention actual restrictions on sales). As well today, big investment firms have evolved into “asset gatherers” that are paid for both the amount of assets gathered and the transactions within client portfolios. Investors are the objects of a four-level, byzantine process these big firms have developed to manage money. Level one is the “financial adviser” or “wealth manager.” This is the client-facing person who also functions as the firm’s chief asset gatherer. The “wealth manager” may be responsible for hundreds, if not thousands of clients. Once the “financial adviser” has gathered your assets, the investment function is handed-off to the next level—the “strategist,” the person who develops the firm’s asset allocation policy and “model portfolio.” At the level after that, you will find the fund managers who buy and sell stocks, bonds, mutual funds, exchange-traded funds, private partnerships and other securities or investment vehicles. You never see or talk to these people, but they make potentially life-altering decisions. At the final level is the firm’s investment committee, an omniscient body of people that offers up a “macro” view of the world and is likely to be much more focused on the profitability of the firm than they are with the concerns of individual investors. Of course, each level has to be paid. The tax consequences to the individual are almost never a consideration. Because there is safety in numbers, portfolios cannot stray from industry benchmarks, meaning they are often over-diversified. If a fund blows up, the firm takes action — by simply swapping the investor into another fund and starting over. We know this because the principals at McRae Capital Management have been with some of Wall Street’s biggest and best known firms, have seen all of this in real life and know how it works. We think there’s a better way, a way that we have practiced since our inception. There is no four-level process at McRae. Clients meet with the people who build their portfolios and make the investment decisions. You don’t give up control. You have a voice and that voice is heard. You know what you own and can see it clearly. Realize that we aren’t out to rail against the behemoths of Wall Street. In some way, shape or form they will always be around. But, as we all know, a few of these firms faced real problems—or went out of business—because not even they knew what they owned. In most things, simplicity is a virtue, complexity a vice. Why should investing be different? It’s generally agreed that the most famous investment principle coined by the very successful Mr. Lynch is simply “invest in what you know.” All of the quotations above are some variation on that theme. We invest for individuals, families and smaller institutions. We get to know our clients very well. We know their situation, objectives and preferences. We construct each portfolio accordingly. This philosophy meshes well with our approach at McRae Capital Management. In a previous Commentary, we wrote about how complex, opaque, expensive and, often, risky investment portfolios managed by large Wall Street firms are for individual investors—even knowledgeable individual investors. To invest with these firms, individual investors give up their individuality and conform to a process that was made for the benefit of the seller, not the buyer. What’s missing is an alignment of interests. At the extreme, performance-based compensation actually incentivizes large Wall Street firms to take on greater risk in the hope of capturing greater reward. For example, hedge funds are known for a method of charging clients referred to as “2 and 20.” What this means is that the client is charged a flat 2 percent of the assets under management plus a full 20 percent of the investment return. Clearly, the big compensation carrot is the 20 percent, which simply encourages risky bets. So, is investing really so simple that, to quote a popular TV commercial of recent vintage, “even a caveman can do it?” Well, yes and no. Let’s look at our process at McRae Capital Management. Conceptually, it is simple. We invest for individuals, families and smaller institutions. We get to know our clients very well. We know their situation, objectives and preferences. We construct each portfolio accordingly. There is no formula and no “model portfolio.” Each portfolio is custom built and custom managed. Our clients know what they own— what companies in what industries, how much they paid, what the stock is currently worth. Same clarity for bonds. If people have questions, the person they speak with is the person who manages their investments. Clients have a voice. They are heard and understood. So, yes, that’s pretty simple. What goes into managing those portfolios is a little deeper. We at McRae work very, very hard at knowing what we buy for client portfolios. We do a lot of analysis, research and digging. In the words of Peter Lynch, we invest in what we know. We search for companies that are doing specific things, so we are able to cite equally specific reasons why they are in client portfolios. We know each company’s pluses and minuses, recognizing that there is no perfect company (Peter Lynch’s “cinch to go up”). We search for quality companies that are leaders in attractive markets, enjoy competitive advantages, have strong balance sheets and free cash flow, and are led by top-notch management teams. You could say we buy the company first, then the stock. We also monitor companies for any fundamental deterioration or change that would cause us to sell the stock. We build portfolios that are sufficiently diversified to mitigate risk, but not so over-diversified that, in effect, they are just surrogates for the S&P 500 Index or some other benchmark. To be sure, we could invest in hedge funds, mutual funds, oil and gas partnerships, private equity, venture capital, distressed debt, emerging market bonds and/or engage in any number of financial engineering strategies for hyping potential returns (and charge more money for doing it). We choose not to because we believe it is not in the best interests of our clients or prospective clients. This is because most of these approaches are prepackaged investments that sound alluring, even exotic, but come with hefty fees, accounting wizardry and financial engineering. An even larger reason is simply this: If we at McRae Capital Management don’t put our own money in these investments, why would we advise our clients to? To return to a central message of this Commentary, complexity is a virtue only to a Swiss watchmaker. 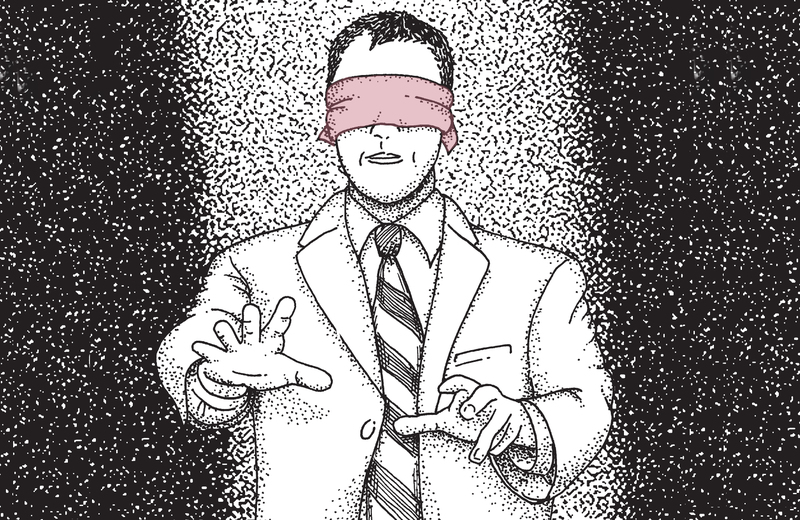 Big Wall Street firms have done a good job of cloaking investment management in mystery. We know what we own and so do our clients. If you can’t say the same, maybe we should talk. Helping you in Understanding Your Investments is only one small part of what we do. We consider many life stages where smart financial planning can make a difference. McRae Capital can help you understand a host of topics, like the risks of market volatility, how to live off retirement savings, and why taking the long view as an investor is so very important.